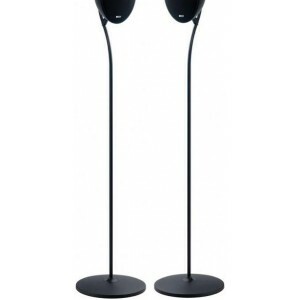 These speaker stands are designed for KEF's "Egg" speakers as included in the E305 5.1 speaker package or E301 stereo pair. Earn 149 loyalty points when you order this item. 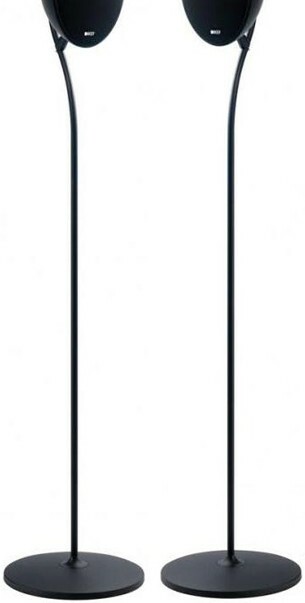 The KEF E301 floor stands are designed to match perfectly with the KEF E305 Speaker Package or KEF E301 speakers. Just like the speakers, they are available in a black or white finish to ensure they match and fit in discreetly with your existing equipment and/or decor. These stands also allow for cables to be concealed within the stands themselves, increasing the visual appeal of these slimline and elegant stands, and preventing the usual web of unsightly wires and cables.